Made with papaya and mango! With moisturizing papaya and kiwi, Papaya Mist Deodorizing Pet Spray adds extra freshness to your pet’s coat after bathing or between baths. 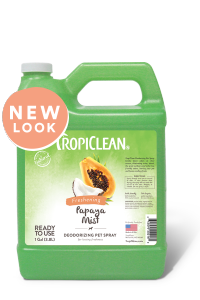 This conditioning spray conditions your pets coat while reducing static, leaving a long-lasting tropical fragrance that lasts for days. 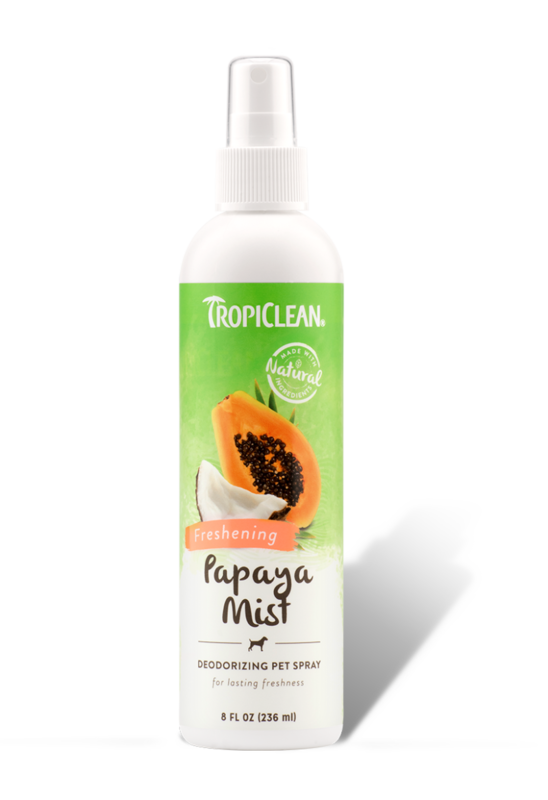 Papaya Mist makes your pet look and smell like they’ve just been bathed. 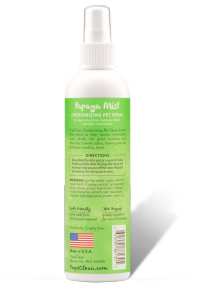 For use on dogs, cats, ferrets, hamsters, rabbits and other small animals. Purified water, organic blend of (papaya extract, pomegranate extract, mango extract, kiwi extract, oatmeal extract, chamomile extract), odor neutralizer, fragrance, hydrolyzed plant protein, vitamin E.
Lukter friskt og behagelig og mine hunder liker den!Kjempefin å ha i pelsen mellom bad. Lukter friskt og behagelig og mine hunder liker den! Made my dog's coat softerJust got this from my vet. It smells great and even made my dog's coat softer. 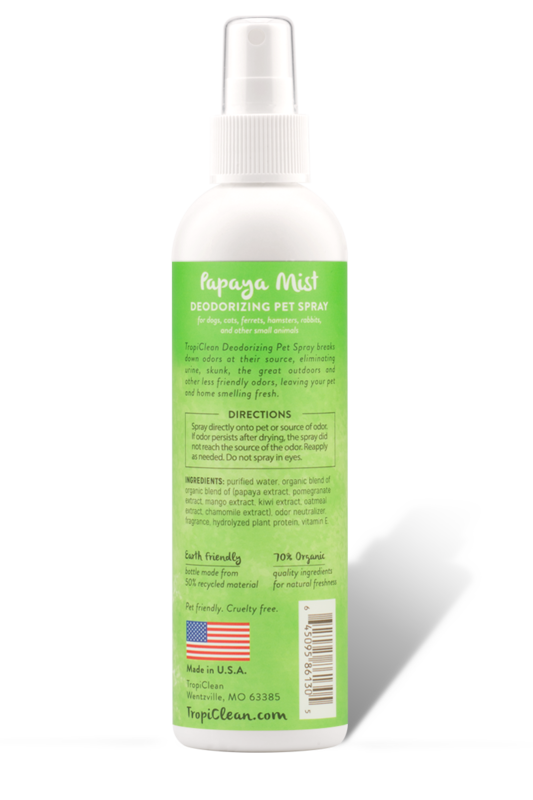 Spray directly onto pet or source of odor. If odor persists after drying, the spray did not reach the source of the odor. Reapply as needed. Do not spray in eyes.